Your local florist with locations in West Allis & Menomonee Falls – Welcome to Bel Aire Flowers. Fresh flowers, plants & gifts for all occasions! Welcome to Bel Aire Flowers. Fresh flowers, plants & gifts for all occasions! Memorial Day Wedding by Bel Aire Flowers. Congratulations Mandi & Dan! We are thankful to be apart of your very important Wedding Day! 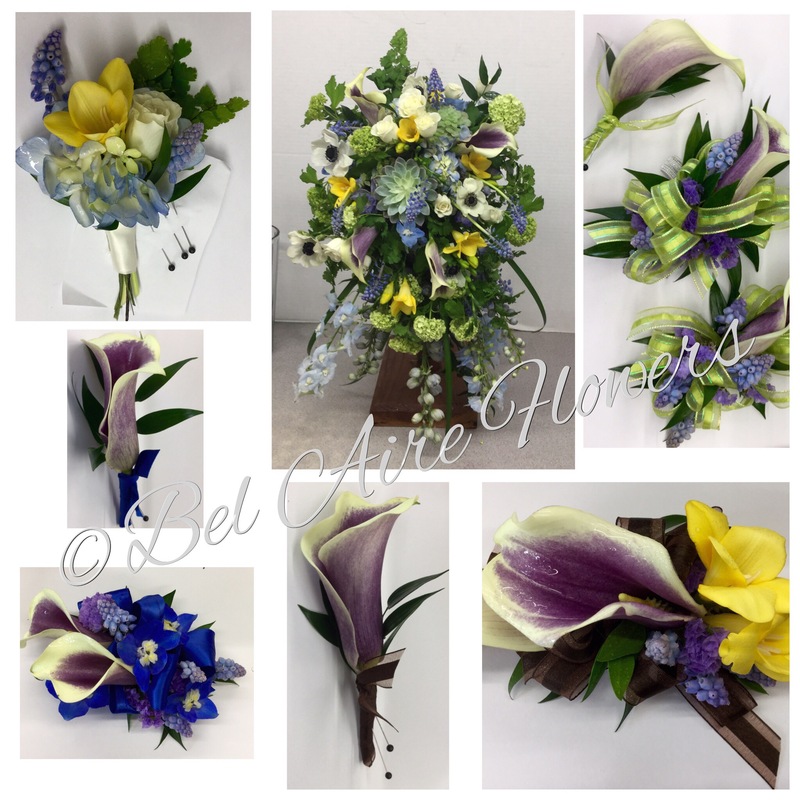 These custom designs by Bel Aire Flowers feature mini callas with dark purple centers, muscari or aka grape hyacinth. Yellow freesia, white anenomes with dark eye centers, soft blue hydrangea, viburnum, locally grown geranium foliage, delphinium in lavender and blue tones. Brides bouquet designed in a cascading flowing style with matching groom boutonnière. Parents flowers incorporating dress colors of royal and brown. Grandparent flowers featuring a brightened sarchuse green tone ribbon. Greens featuring maidenhair ferns, ruscus and lily grass. A natural element of toned succulent plants sets the bridal bouquet apart and gives this design a distinctive garden look. All designs done by Bel Aire Flowers. Have a wedding to plan? Contact Bel Aire Flowers. Let our talented professional design staff make your day your way! We guarantee to give your very important wedding day a look of distinction like none other! belaireflowers.com/wedding @belaireflowers visit us on Pintrest, Foursquare, Facebook, Flickr, Twitter. We post lots of wedding inspiration pix of our original work along with helpful tips and wedding planning tools. Our main focus is to keep your wedding planning easy and stress free for you. We will give you what you’ve been dreaming of and then some. 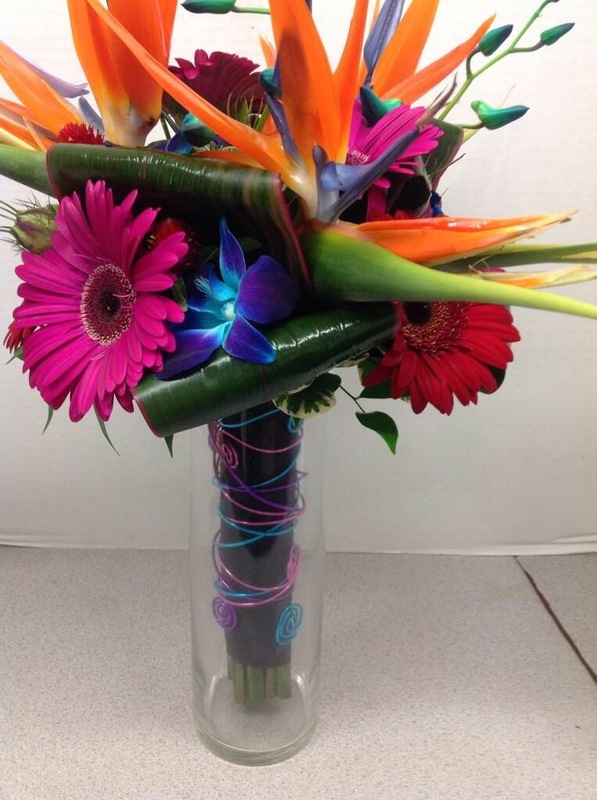 We guarantee you’ll be blown away with our flowers and designs. Don’t leave your important wedding florals to chance. You deserve a day to enjoy and live in the moment of your special wedding! Selecting a florist for your wedding. When selecting a florist for your wedding there’s a number of factors to keep in mind. Not all florist shops are equal. I’m impartial as I own Bel Aire Flowers in West Allis & Menomonee falls so what I’m about to offer you is based on my own stores quality and level of service. However, having been up front with that, I still have many years experience in dealing with countless brides that can be helpful to anyone planning a wedding or other special event. Wedding consultations typically last about an hour maybe less depending on your needs. Schedule your consult 6-12 months before your wedding. You can schedule it closer to the wedding if it’s a smaller wedding. At the time of scheduling you should have your ceremony & reception venues along with your wedding colors or theme chosen. Firstly, who you book with is the most important decision you will make in creating the wedding you’ve always dreamed of. There are many options today for brides so do your homework and look thoroughly before signing the dotted line. In looking for a professional wedding florist take the time to meet with the shop in person and have a consultation. If the consult is not going as planned or you feel they will not be a good fit for you cut the appt early, politely thank them for their time and move on. Time is precious for both you and the shop so spend it wisely. Look around how’s the store presentation, is it clean and well organized? It should be how you envision a flower shop to be. How’s the service? Did your phone call or email get answered promptly and courteously? Again, you should feel well taken care of and important. Your dealings with anyone you have contact with is a representation of that company good or bad to be taken into consideration. We pride ourselves on treating every client with professionalism and attention. We strive to respond to all wedding inquiries or questions promptly. Being a small business sometimes it hard to respond quickly when it’s busy but we do our best always. Ask to see the shops portfolio or past client pictures so you can see their work first hand. Pictures of others work are a nice reference but it’s important the hired professional you chose have the skills to create your vision. As you know you don’t always get what you pay for in looking at a marketing pix. With that in mind choose someone your comfortable with and confident in. Be prepared have your list handy of the flowers you’re thinking of having. If you’re unsure what you’ll need ask for a planning list or find one online, they’re very handy. 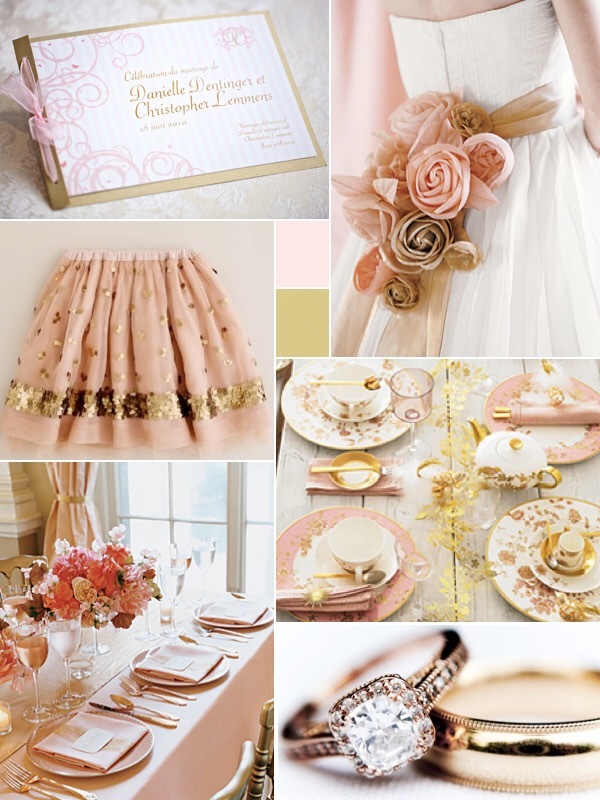 Do some surfing, web surfing that is and copy or bookmark wedding color schemes or design themes you like. You can also use apps like Pintrest to organize your information. During your consult you can show your florist things you like which gives them great insight as to recommendations they should make. During your time in your consultation discuss what your vision is and give the florist your likes and dislikes. Communication is key in getting what you want and not leaving anything to chance. If you have a wedding budget, disclose it. In doing so you’ll give your shop an idea of how to make recommendations. If your budget doesn’t hit the mark you can always decide to adjust it accordingly. Keep an open mind to suggestions. A good florist can help you get the biggest impact utilizing their experience and creativity. Sit back, relax and let the planning flow. Have any questions for us? We would love to hear from you. Please let us know if we can help you with your wedding or special event. No wedding ceremony is complete without wedding rings and most probably this will be the lasting symbol of your marriage. Wearing a wedding ring has become a part of our culture and most people will never remove it except in case of emergencies. Consult your partner: Wedding rings must be bought only after consulting with your future spouse. This is something which both of you will use for a very long time. So discuss every aspect such as price, metal, stone etc. in advance. 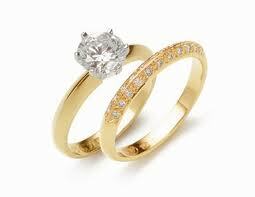 Metal: Although gold and platinum remains the popular choices for wedding rings. Consider your lifestyle and nature of work before making a selection. If you are engaged in technical professions such as engineer, technician etc. then take this into account before buying a wedding ring. Your choice of ring also depends on your intended usage. If you are going to use it every day and engage in activities which require manual work then go for a strong metal such as titanium or tungsten. Select a hard stone if above condition applies for you. Research: Brainstorm and research as much as possible before actually buying a ring. You can use Google for finding various models and most of the jewelry shops now have an online catalog of their products. So finding the right ring will not be a problem. We can help you in organizing your wedding. Contact us TODAY! 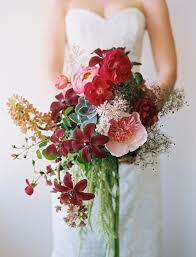 Today when we are planning our wedding we are free to choose our flowers based on our personal preferences. Maybe a certain flower has sentimental meaning, maybe we are looking for our arrangements to compliment our theme colors and possible we are limited somewhat by what is available in the area where our wedding is and what time of year it is. Whatever influences our choices its hard to picture a wedding without flowers. They add so much to the decor and having flowers at a wedding is a tradition almost as old as time. What kind of bouquet a bride tells so much about her, doesn’t it? Though fun to look at, today we aren’t confined to these traditional meanings but flowers can still convey so much. At Bel Aire Flowers we are dedicated to helping you convey the right meaning behind your flower choices. Please give us a call and let’s chat about your wedding.